Canada-based Meest Group was the first major Canadian investment in independent Ukraine. The Group first entered the Ukrainian market in 1992 as a joint venture with Rosan Business. Meest Group has since created thousands of jobs in Ukraine as the company has expanded in a variety of directions. Initially, Meest Group focused on the postal and logistics sector and deliveries between North America and addresses in newly independent Ukraine. The company’s scope of services soon expanded, leading to the creation of the entire Meest Financial and Industrial Group. In addition to its business activities, Meest Group has been at the forefront of promoting a culture of corporate social responsibility inside Ukraine. The Group set up the Meest Hope charitable foundation in 1998 that provides support for children’s homes across Ukraine. Other initiatives have included the creation of the Fourth Wave international NGO, which is a member of the Ukrainian World Congress. Since 2015, Meest Group has actively supported volunteer initiatives designed to provide help for veterans of Ukraine’s ATO military operations in the east of the country. For many years, Meest Group has offering support for the Galichanka Club for Ukrainians with disabilities, while also backing FC Carpathians sports club. The company has been prominent in its support of the World Vyshyvanka Day initiative, creating embroidery for babies born on this day not only in Ukraine itself but also all over the world. This year, the company has provided backing for the Milky Way cycling initiative involving a team of volunteers cycling over 10,000KM across Canada and the United States of America. This ambitious undertaking aims to raise awareness of Ukraine and improve the country’s image among North American audiences, while also raising funds for those who have suffered due to the war in the Donbas. The Group now has ambitious plans for further expansion. 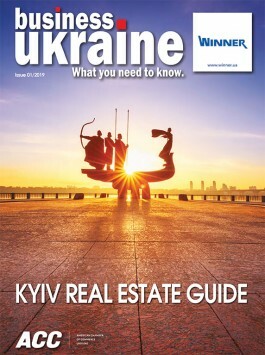 Meest officials say the Group has become a reliable and convenient bridge between Ukraine and countries around the world, helping Ukrainian businesses to enter international markets while also facilitating investment flows in the opposite direction by enabling companies to more easily access Ukrainian markets. With the Ukrainian business community increasingly looking to expand its global horizons and develop presences in new international markets, Meest Group is in a good position to play an important role as this process gains momentum. Meest Group founder and president Rostyslav Kisil spoke to Business Ukraine magazine about the story behind the Group and his vision for its future development. It all started back in 1988, when I first experienced life with the Ukrainian diaspora in Canada and saw how a normal, well-developed capitalist country lives. My mentality, which had been brainwashed by Soviet propaganda prior to my arrival in Canada, completely changed and I soon decided to open my own business. My idea was to help the Canadian diaspora provide aid and engage in closer contact with friends and relatives still living in Ukraine. In fact, that is how the brand name came to life. “Meest”, or “bridge”, symbolizes the idea of connecting things. The philosophy of the company is all about bridging borders and overcoming barriers. The company experienced rapid success and established itself in both the Canadian and Ukrainian markets. Soon afterwards, we expanded into other countries. Currently we work in 20 countries and develop our own innovative postal-logistics solutions in order to connect people throughout the world. You will find many different nationalities and countries among our employees and customers. Nevertheless, we are still devoted to our traditional values, including strong connections and cooperation with Ukrainians worldwide. The Meest Group is a pioneer in the postal and logistics industry and we work tirelessly to maintain our reputation. We have always had a reputation for innovation at Meest Group. 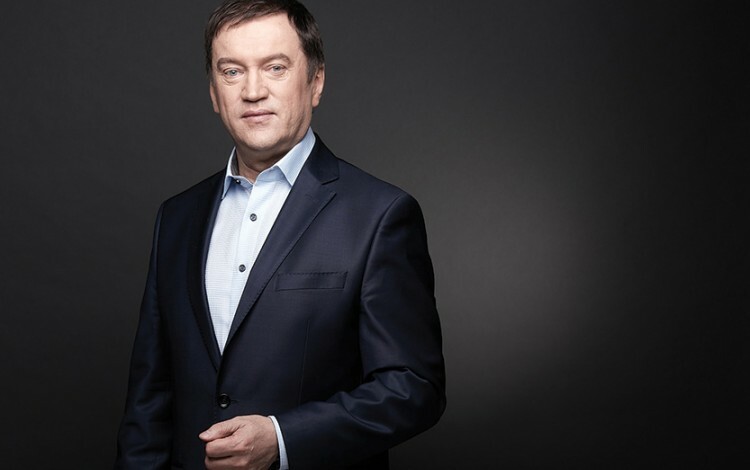 For example, we created Ukraine’s first independent private TV studio, the first company in Ukraine to work with property privatization, and our Rosan enterprise was the first private postal company in Ukraine to receive membership in the Universal Postal Union. For more than a quarter of a century, we have successfully worked alongside the national postal service and in cooperation with the postal services of many other countries including Poland, Estonia, and Germany. The Meest Express postal and logistics operator became a leader in express delivery services after its formation in 2005 and currently ranks as one of Ukraine’s 50 most expensive brands. Meest Tour opened in 1997. Today, it is one of the leading travel agencies for Canadian, American, and other Western tourists coming to Ukraine. Our Rosanpak plastic wrap and packaging company is also one of the leaders in its industry. We are now actively developing and promoting an innovative new Ukrainian project – myMeest. This is an online shopping delivery service for online shops across the world. We soon expect to expand this service to countries across Central and Eastern Europe, the Middle East, and the Caucasus region. We are also developing our own system of money transfer that will work in Ukraine, Poland, Canada, the US, and other countries. We provide top-notch and exclusive delivery services to Ukrainians for globally recognized brands like Next, Lamoda, YesSport, Rozetka, and Allo. With Meest Express, we can meet even the tightest of deadlines to deliver purchases from nearly anywhere in the world. The secret ingredients behind the success and sustainability of Meest Group include having the right ideas and the right people, consistency of purpose, and a little bit of luck. Meest Group is truly a big family where every employee has an opportunity to pursue professional development and personal fulfilment. Each employee is a shareholder and we are always ready to consider any suggestion for corporate development that any member of our team might offer. As we continue to expand, our stocks continue to grow. As the company gains worth, so too do the employees. For me, this is how you measure success – when employees are as invested in the future of the company as senior management. Thousands of people work for the Meest Group across Ukraine and in 20 countries around the world. Whatever we are doing, I cannot accept being second or third best. I always want to keep going until we can become the market leader. This is the corporate philosophy behind the success of Meest Group. However, you also need to be in the right place at the right time. I was lucky enough to be in Canada in 1988. While this timing was fortunate, success also requires business management skills, commitment, and accountability. It is my goal to lead Meest Group to a global leadership position in the international postal logistics market for those with ties to Ukraine. Over the past 28 years of work, we have built a concrete foundation and became a trusted service in many countries. We have earned recognition for our commitment to a number of core principles: proximity to clients, simplicity of reception, moderate service pricing, and constant implementation of the latest technologies in e-commerce and postal logistics. We have created a trusted bridge between Ukraine and dozens of countries worldwide, where we help Ukrainian businesses enter international markets and assist foreign companies to invest in Ukraine. The objective now is to consolidate this position further.